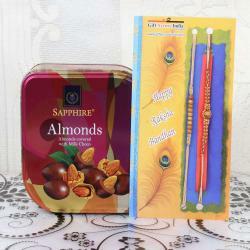 Product Consists: 24 Pcs Ferrero Rocher Chocolate Box with 5 Set of Rakhis. 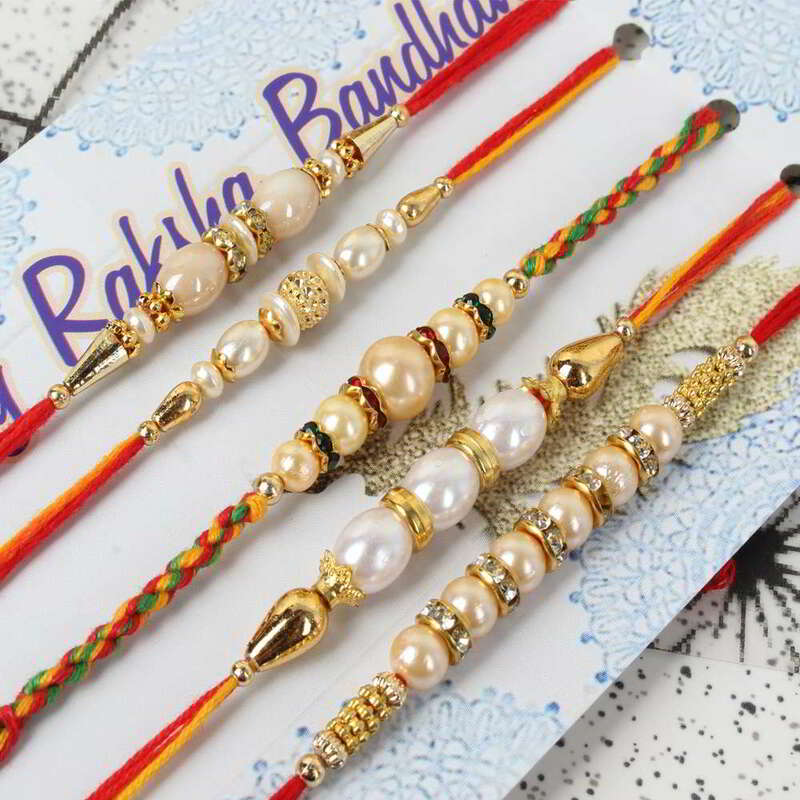 If you are searching for the perfect Raksha Bandhan gift for your brother, then you can purchase this package because it comes with the five set of the designer Rakhi and twenty-four pieces of the chocolate. 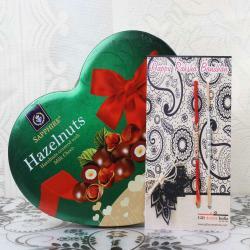 The chocolate is a delicious food, and everyone loves this very much. 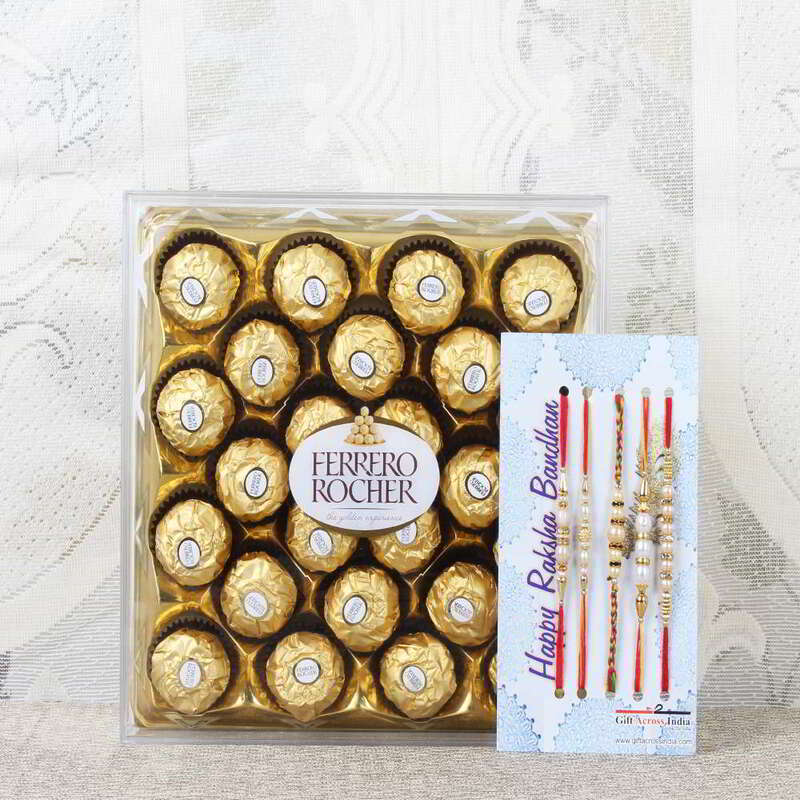 The chocolate is the best choice to gift your brother, and you can also send the delicious Ferrero Rocher Chocolate with the designer Rakhi thread to your brother who stays away from you. 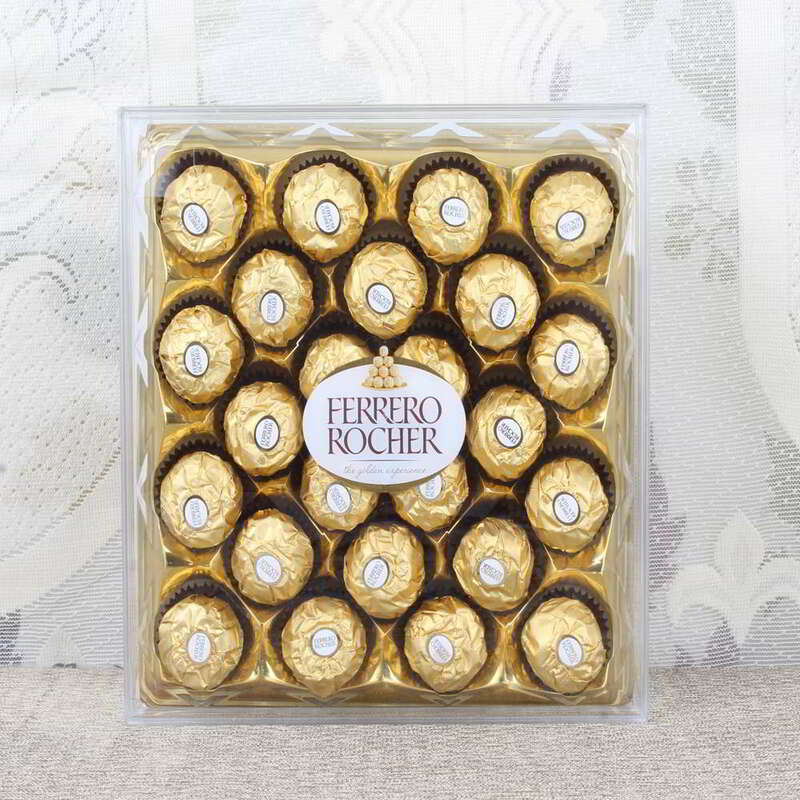 The chocolate is made from the quality ingredients, and it is tasty till the last bite. 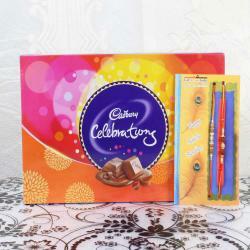 Now you can shop this compo package and make your brother feel more special on this day. 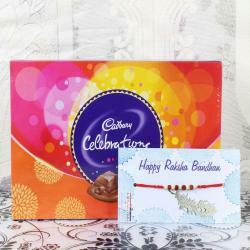 Product Consists: 24 Pcs Ferrero Rocher Chocolate Box with 5 Set of Rakhis.